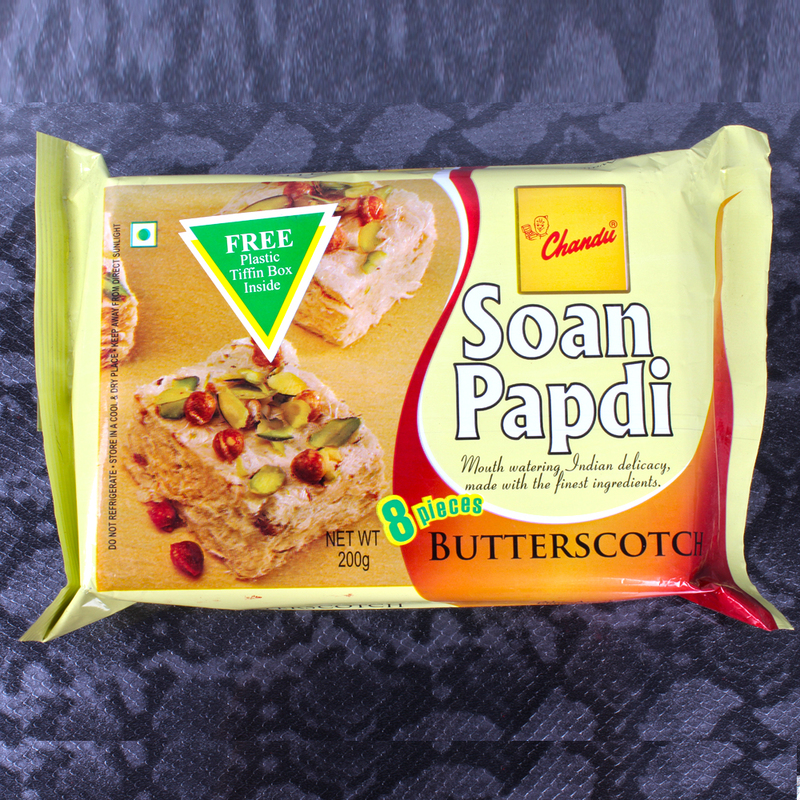 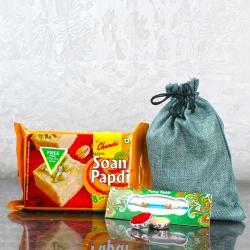 Set of 2 Rakhis, Soan Papdi Butterscotch Flavour (Weight: 200 Gms) along with Packet of Roli Chawal. 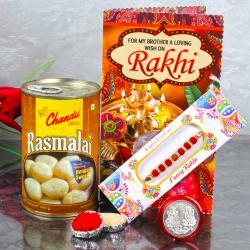 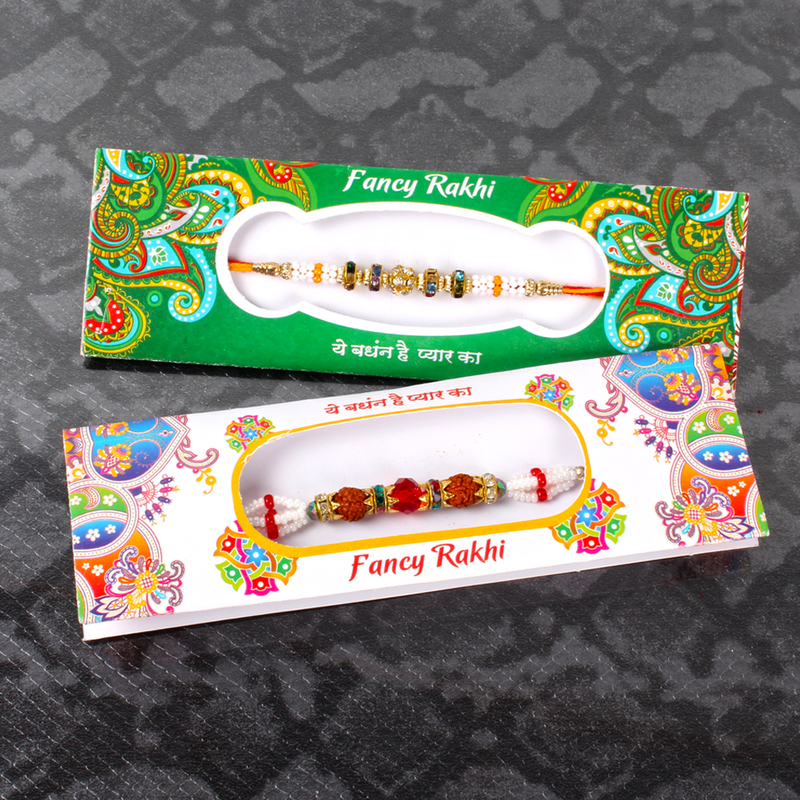 The Rakhi of brothers you have, the more is the delight shared on the festival of Raksha bandhan. 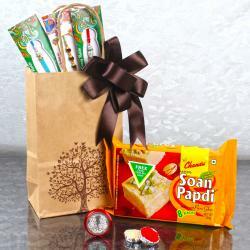 But you also need special gifts for each one of them as per their likes. 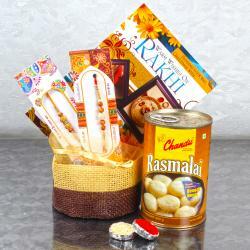 No other gift can serve such a collective desire than a pack of several different flavors combos bunched together. 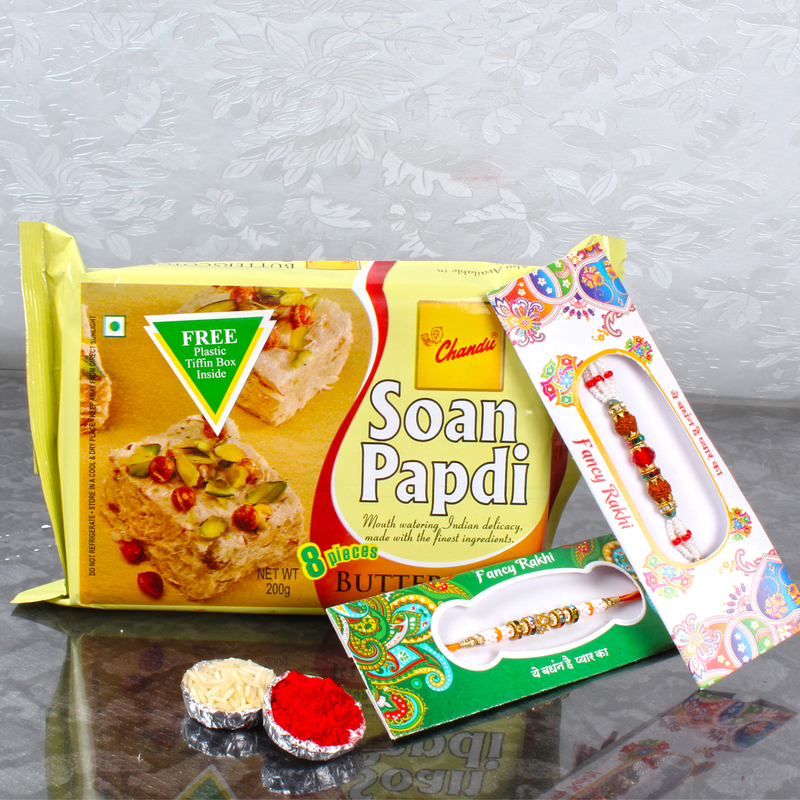 This beautiful Rakhi Combo includes : Set of 2 Rakhis and Soan Papdi Butterscotch Flavour (Weight: 200 Gms) along with Packet of Roli Chawal.